Well, tomorrow is Mark Twain’s birthday, so I figured it would be appropriate to post this–and it’s also interesting to read about his previously unpublished works being released! As a fan of Fear and Loathing in Los Vegas and Thompson’s writing style in general, I found this to be interesting to read to gain more insight on his life. As author Mark McGinty notes in the acknowledgments of his second novel, The Cigar Maker owes a stylistic debt to influences ranging from such literary luminaries as James Ellroy, Mario Puzo, and William Shakespeare to such epic film trilogies as Star Wars, Indiana Jones, and Lord of the Rings. Indeed, “epic” is perhaps the best word to describe this dense and moving novel, for it has both the multigenerational sweep of works like John Steinbeck’s East of Eden and the social awareness of John Dos Passos’ USA Trilogy. All of this is to say that for his sophomore literary outing, McGinty has done nothing short of producing the great American novel. Part of what makes The Cigar Maker both “great” and “American” is that the novel is steeped in the immigrant experience. Shortly after the sinking of the USS Maine, a young father named Salvador Ortiz moves his family from Cuba to the United States and goes to work making a living for himself as a cigar maker. The Florida city in which he finds himself, moreover, is a hotbed of political and criminal industry, and it isn’t long before Ortiz — who wants nothing more than to provide for his wife and children — becomes embroiled in the the town’s machinations. In this regard, The Cigar Maker also reads like a literary version of Martin Scorcese’s Gangs of New York with a Cuban flare. That is, it’s a historical tale of class struggle with a distinctly humane focus in that the story of the Ortiz family mirrors not only the story of American workers but the story of America itself. None of this, of course, is to say that The Cigar Maker presents an overly rosy picture of the American dream. Ortiz struggles daily just to get by, and he endures more setbacks than triumphs throughout the novel. Yet he never gives up, and keeps fighting for the greater good because, more than anything, he is a man of great conscience — a rarity, perhaps, in the current postmodern literary landscape, but a breath of fresh air as well. Though The Cigar Maker is largely a historical novel, the issues it touches upon are as relevant today as they were a century ago: labor relations, immigration, and the nation’s involvement in foreign wars chief among them. What’s especially striking about The Cigar Maker, however, is that it doesn’t treat these issues as discrete phenomena; rather, it explores the interconnectedness of all three. In so doing, the novel reminds us that although we are all in many ways beholden to the vast machinery of forces beyond our control, we are all, nonetheless, creatures of conscience and are all, thus, responsible for doing what we can to shape the world into the place we want it to be. 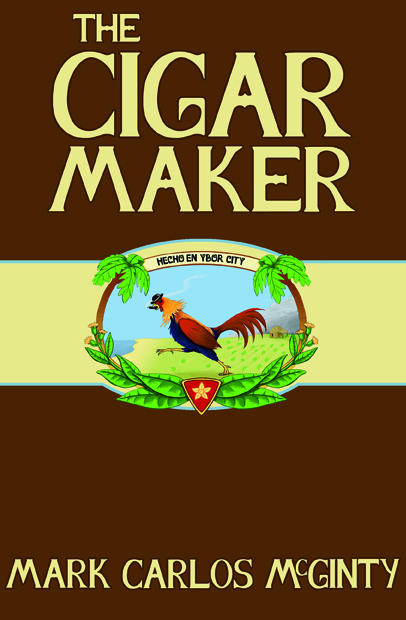 Painstakingly researched and lovingly crafted, The Cigar Maker is a serious and significant novel about the American experience. The writing is beautiful, the characters lively, and the settings awash with visceral historical detail. An excellent book on all counts.